First black player in major leagues? Hint: It wasn’t Jackie Robinson | Los Angeles Times Years ago, Palmer's grandmother told him the story of the man buried here. That's my uncle, she said, your great-grand uncle. 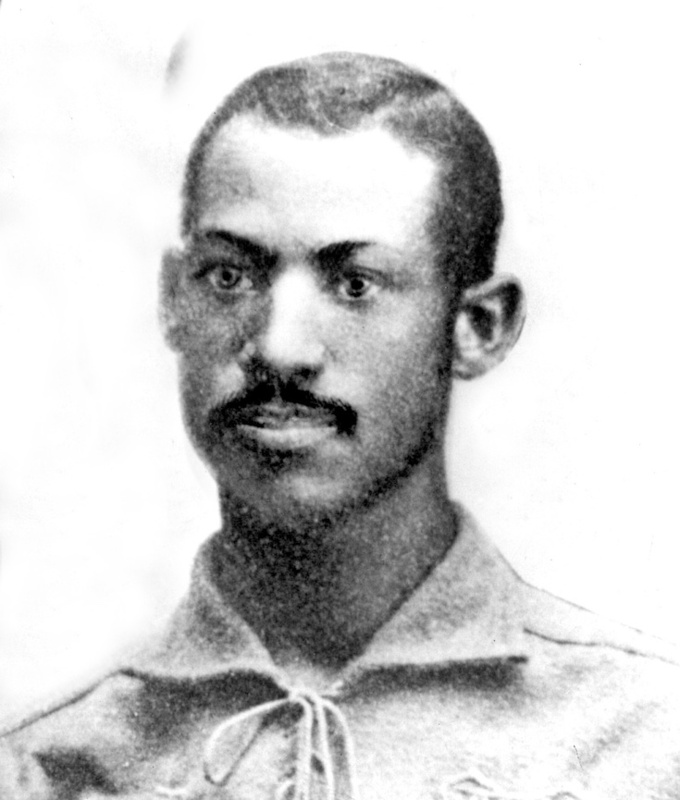 His name was Moses Fleetwood Walker, and he was the first black baseball player in the major leagues. Mark Palmer wanders through a cemetery in a southeastern Ohio steel town looking for a man most of the world has forgotten. Years ago, Palmer’s grandmother told him the story of the man buried here. That’s my uncle, she said, your great-grand uncle. His name was Moses Fleetwood Walker, and he was the first black baseball player in the major leagues. Palmer occasionally mentioned this to his boyhood friends. So Palmer let it be. Now, at Union Cemetery, Palmer meanders the grounds, wracking his brain. He can’t find the grave site. On the gentle sloping hills, it is cool and shady and it smells of fresh-cut grass. The chirps of crickets fill the thick air. Palmer thinks the grave is close to the road, or perhaps near the mausoleum, so he checks there first. At least the grave is marked now. Walker died in 1924 and it wasn’t until 1990 that the Oberlin Heisman Club planted a headstone to commemorate its student from long ago. Palmer and a few others attended the ceremony.